Our laying hens are truly free-ranging – they live out on fresh grass pasture and are moved every few days with their mobile laying hen house. In addition to their wild forage and garden scraps they are given a wholegrain feed that is locally milled and GM free – their beautiful golden yoked eggs speak for themselves! We produce delicious and flavourful meat birds as the season allows in Autumn and Spring months only. These birds live on fresh grass pasture and are moved daily. In addition to their wild forage, they are given a high protein wholegrain feed that is locally milled and GM free. We do not use any hormones or antibiotics. Produced by thousands of beautiful bees in our handmade Warré hives – our raw honey is processed cold so it retains all of its healthful, antibacterial, anti fungal and antibiotic qualities. 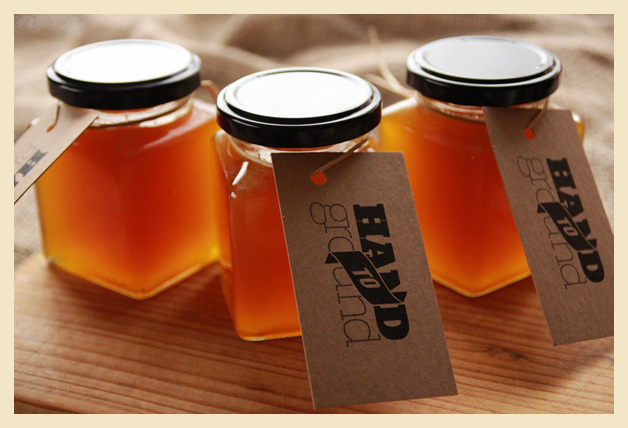 We usually do one harvest a year in Autumn – you can pre-order honey in 300ml and 1 kilo quantities. Using our very own beeswax, lard from pastured raised pigs, coconut oil, local olive oil and herbs from our garden – this handmade soap is free from artificial colours, fragrances, chemicals and sulfates. It can be used on the most sensitive baby skin. You can purchase our soap online here. You can buy our pastured eggs and chickens directly from us at Kyneton and Woodend Farmers markets and through our great local green grocer Watts’ Fresh in Kyneton. Follow our Facebook page for more details on how to order these. Emily also sells her gluten free baking, preserves and fermented condiments at Lancefield, Kyneton and Woodend Farmers markets. She is inspired by the simple and delicious baking of traditional cultures and has come up with a recipe for gluten free sourdough that is versatile to eat, nourishing for the body and delicious! Me again, sorry. I can feel a cookbook coming on. Or I hope for it.